Here at Orchard View Farm, in the quiet Buckinghamshire countryside, our passion for great food resonates through our Rare Breeds Farm, Restaurant, Café, Farm Shop and Butchery. Inside you will find a wide selection of local produce, including top quality meat from our butchery, a wide selection of local cheeses, and a wide range of delicious homecooked food from the café. 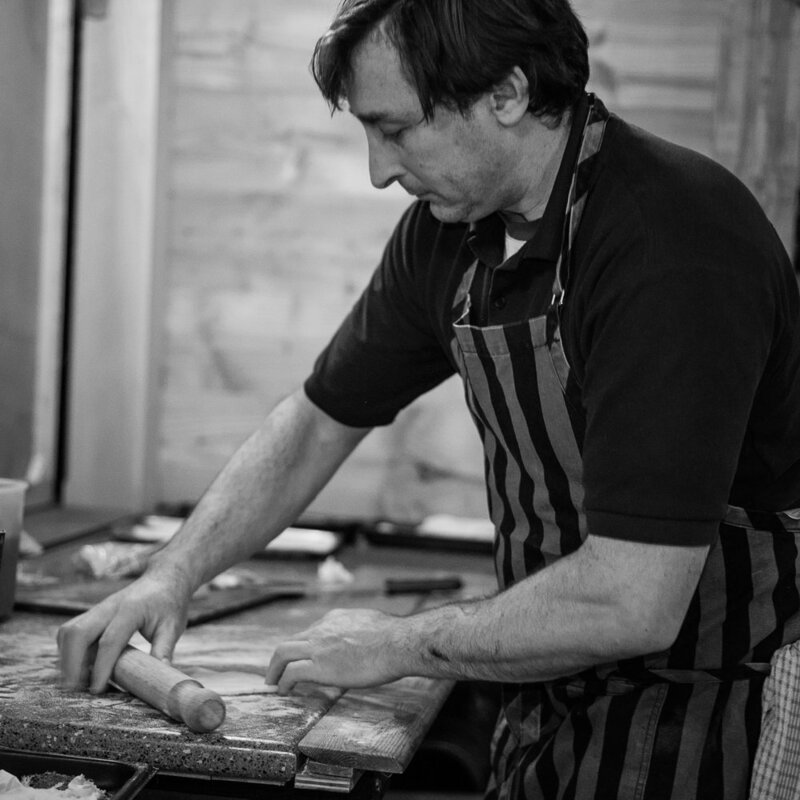 With a focus on our own meat and local produce we aim to provide the best of Buckinghamshire for everyone. The Farm Shop sells everything from pickle to parsnips and every condiment and relish imaginable to compliment your butchery or deli counter choice. It’s also stocked with some great gift ideas too, beautiful local pottery, handmade cards and prints, bespoke hampers, beauty products and artisan chocolates. We pride ourselves on supplying you with a great range of local, high quality products. A wide range of locally sourced cheeses can be found in the Deli Counter alongside a great range of cheese accompaniments and delicious salamis. We also stock local ales and wines from local brewers such as XT and Malt the Brewery. Our newest addition is cider from Crovers orchard in Great Kimble. As well as locally sourced we are adding an ever increasing amount of home made items from cakes and salads to sausage rolls and even chilli sauce. Our team of butchers and chefs work closely together to deliver the very best of home made products at a great price. The butchery is open six days a week and fully stocked with top quality pork and lamb from the farm. We also stock meat hand picked from local suppliers and farmers for its fantastic flavour and provenance such as beef from Thame and wild shot venison. The Butchery currently holds numerous Gold, Silver and Bronze British Sausage Week Awards and as well as a ‘Best Sausage in London and the South East’ prize for its innovative range of sausages. The Great Taste awards have also awarded the farm one, two and three gold star ratings. We offer unrivalled quality and price with regular price checking undertaken against the supermarkets. Our prices are often considerably better than those available in the supermarkets. Our café menu offers great value homecooked food six days a week. Everything is freshly prepared to order and we believe it's worth that little extra wait because we only use the freshest and best ingredients in every meal. Our menu has been carefully crafted to reflect the local fare on offer such as, conservation grade hen eggs from Dinton Farm, freshly baked bread from Thame, our own award winning sausages and bacon from the butchery, as well as milk and cream from the local dairy to name just a few. We are currently serving our winter menu, with dishes such as the Pesto Griddled Chicken, Bacon, Basil Mayo and Mozzarella (pictured),Sticky Beef Salad with Chef Paul’s homemade chilli sauce, Halloumi, Spinach and Portobello Mushroom Burger and many more! Plain or Filled with Taw Valley cheddar, tomato and our own baked ham. Red onion marmalade, watercress and gherkins (served hot) on white or brown doorstep bread..
A little bit of what you fancy - We all need a little naughty treat to keep us going at this time of year! The TROUGH RESTAURANT is our newest addition at the farm uniting all areas of Orchard View Farm to provide you with a uniquely wonderful experience . . Delicious meat from our butchery cooked to perfection by our talented chefs accompanied by a selection of homemade salads! Home made pizza cooked in our traditional pizza oven accompanied by a selection of colourful salads! Watch your pizza being made while enjoying our selection of local beer, wine and cider. The trough is a dream Jim has had for many years finally brought to life! It provides extra seating all year round. It truly comes to life when we have our BBQ evenings and pizza evenings and is also available to hire out for private functions such as kids birthday parties, Wakes and other special occasions! We always have a lot going on at the Farm! From turkeys at Christmas, Lambs at Easter and Piglets to enjoy all year round! 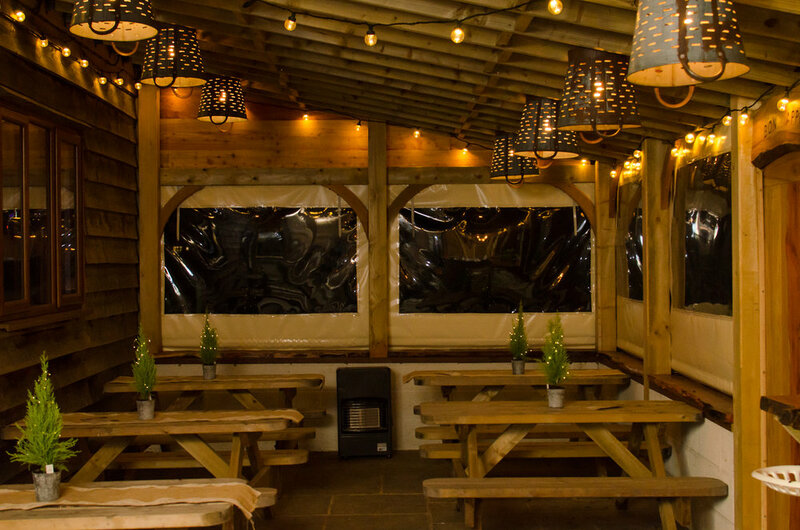 We also offer Private events at the farm such as Wakes, Birthday parties, Themed evenings etc and off site catering. Please contact us for more details! The largest event on the farm every year. We throw open the gates and welcome all to enjoy farm tours, great food, fair and tractor rides plus lots more. We provide a range of birthday party solutions ranging from the popular Pizza party with farm tour to farm tour and buffet feeding the pigs, meeting the sheep and marvel at the deer! Then enjoy some lovely home made food from the farm. We provide simply the best catering for your occasion tailored to your exact requirement. Our partnership with Natural Burial ground opposite allows us to closely integrate all aspects of the day. Our team are always on hand to assist throughout. Please use the form to enter your details and brief message. We review our inbox regularly and aim to respond within 24 hours. Please note we are closed on Monday, any messaged left on Monday are likely to be responded to on Tuesday.